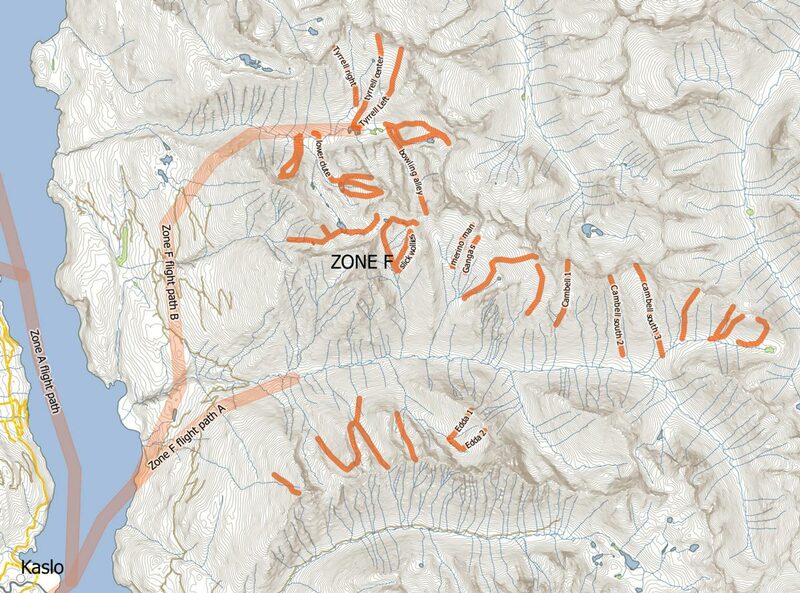 Directly East of Kaslo, Campbell Creek features amazing high alpine terrain, vast bowls, and steep chutes. This terrain is more distinct than some of our other areas, with unique rock formations and topography that form pillow fields and other playful features – perfect for the skiers that like to pop, slash, and launch off of terrain features. If you’re more inclined to keeping both skis firmly planted on the snow, the open bowls, steep chutes, and larch forests are suited for all riding styles.